The hotel Holiday Inn Piacenza hotel is strategically located at the Motorway exit Piacenza Ovest (A21), easily reached coming from any direction (Milano, Bologna, Genova, Venezia, etc&reg). City centre, 2 km Railway Station and Exhibition ground, 5 min by car. 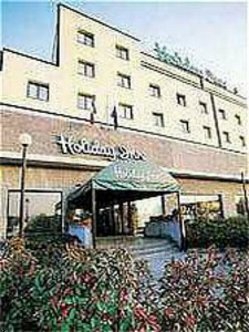 Holiday Inn Piacenza is a modern hotel - rooms also for disabled people and families pets are welcome - furnished with minibar, satellite channels, direct dial phone and Wi-Fi Internet Connection. Two Meeting Rooms with natural light and hotel staff at disposal for any business service needed. Our Restaurant offers a fine International cuisine, as well as local specialities, vegetarian courses and special menus for celiac suffering people. Habitually serves football and volley teams with suitable menus and it&regs at disposal for lunches/dinners and light breaks for the Meeting rooms. Indoor car parking at disposal of guests, free of charge for bikes and bicycles. Piacenza traces its history back to Roman times. Near the river Po it is still based on the Roman plan and it&regs full of Medieval and Renaissance buildings. In the outskirts of Piacenza lots are the Castles and fortified villages which can be visited within reach is also the native village of Giuseppe Verdi, where his Villa, his Theatre and a Museum (Casa Barezzi) can be toured.